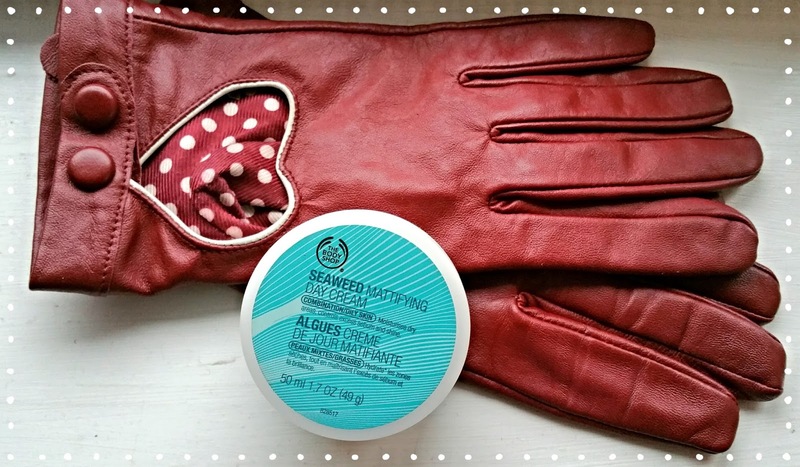 Ittybittyprettykitty: Winter Skin : Body shop to the rescue! Winter Skin : Body shop to the rescue! To mangle a quote from the oh so popular Game of Thrones Winter is no longer coming, it's damn well arrived. Which means that facial skin around the UK (and beyond) is getting really stressed and in my case a little scaley... Well Body Shop might be able to help you with that. I originally bought the Seaweed Mattifying Day Cream in the summer when I was grabbing some tea tree bits, and never really gave it the chance it deserved, due to my oily skin fears. I will also posit here that Body Shop Tea Tree Skin Clearing Toner is the bomb, because my word does it work! Not great for dry skin though. Anyways I digress. So! The formula is very light, much more than I was expected to be honest. Also gel like in texture, and cooling to the touch. I recommend keeping it in the fridge for a lovely calming effect to take the edge off chill burned cheeks. On the face it melts into the skin well, leaving no greasy residue, just a pleasant softness. A plus point is that it works very well under make up and provides a nice base for foundation, concealer etc. I've been using it after my oil cleansing routine, (anyone remember my Shu Uemura cleanser? Same one), as I'm finding this helps keep my skin balanced throughout the day. If I'm honest those with drier skin normally are going to want something far more hydrating, like their Vitamin E Aqua Boost Sorbet. How do you deal with the onset of winter skin guys? Answers on a postcard! I haven't really tried The Body Shop products for the face, although I will say their lip balms are pretty moisturizing from the one I tried. Good old plain cocoa butter lotion is great for the face and hands, I'm obsessed with hand cremes and slather them on all the time! The weather where you're located sounds similar to the conditions here in Washington state. Cold, high and dry air with wind chill burns indeed. I love the cold and I guess where I'm from I'm pretty used to it. I really like the Yves Rocher products, when you can find them, although you can probably find them over there more than here.